PORTLAND – Ian Kolste threw for 305 yards to lead visiting Whitworth University to a 48-7 win at Lewis & Clark College on Saturday afternoon and also reach 10,000 yards of total offense. Mason Elms ran 96 yards for a touchdown to set a school record for a single run from scrimmage as the Pirates won their fourth game in a row to improve to 7-2 overall and 4-2 in the NWC. Lewis & Clark dropped to 2-6, 1-5. Despite playing on a sprained ankle, Kolste completed 24 of 37 passes for 305 yards to reach 10,209 yards of total offense in his career. Already the school record-holder in that category, he is the first Whitworth player to surpass 10,000 career yards. He threw four touchdown passes without an interception and now has 9,860 career passing yards and 80 career TD passes. Kevin Thomas and Michael McKeown caught two touchdowns apiece from Kolste. Kolste hit Thomas for a 60-yard touchdown pass on Whitworth’s third play from scrimmage to give the Bucs a quick 6-0 lead after a two-point conversion attempt was unsuccessful. Thomas caught six passes for 141 yards, while McKeown had five receptions for 64 yards. Garrett McKay finished with five grabs for 42 yards. Elms ran for 122 yards on eight attempts, averaging 15.3 yards per run. He led a Whitworth ground game that finished with a season-high 290 yards. Tariq Ellis ran for 80 yards on 10 carries and Hare finished with 49 yards on four attempts. Zach Hillman had his best game for the Whitworth defense. He had 12 tackles, including 10 solo stops, and a nine-yard sack. Shai Pulawa returned an interception 48 yards into L&C territory to set up a second half touchdown for the Pirates. Charlie Ball also had a seven-yard sack. The Pirates have now won six in a row against Lewis & Clark, and 18 of the last 19 contests between the teams. 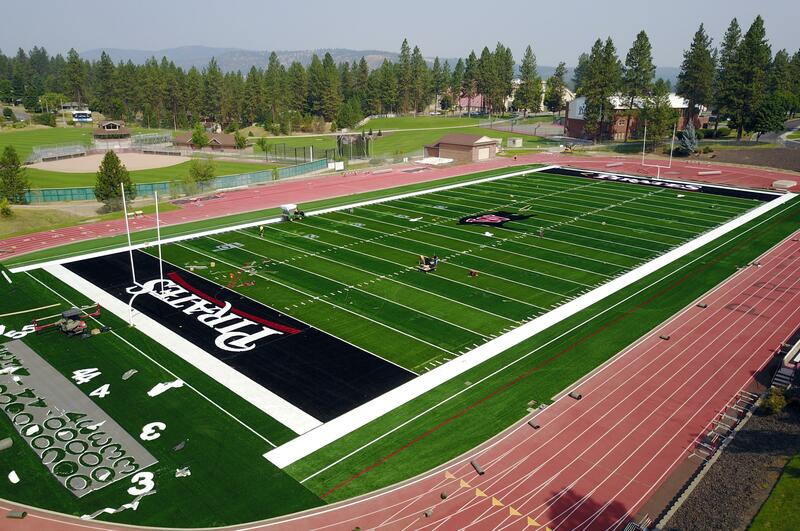 Whitworth will finish the season at home next Saturday against Willamette. Published: Nov. 4, 2017, 5:39 p.m.